Tim Driesen is currently starring as Frankie Valli in the first UK Tour of Jersey Boys, having previously played the role in the original Dutch production and for a short stint in the West End production. Jersey Boys has been seen by over 19 million people worldwide and is firmly established as one of the West End's longest running and most popular shows. It tells the true story of Frankie Valli and the Four Seasons and their rise to stardom from the wrong side of the tracks. In 2013 Tim was nominated for West End Frame’s Understudy of the Year Award for alternating the role of Drew in Rock Of Ages (Garrick). His West End credits also include: Adrian Banks/Mark Owen in Never Forget (Savoy/UK Tour), Mark in Rent In Concert (Garrick), Bat Boy The Musical (Shaftesbury) and Mamma Mia (Prince Edward). Tim’s theatre credits also include: Young Ken Barlow in Coronation Street Of Dreams (MEN Arena), Galileo in We Will Rock You (Antwerp), Phoebus and Gringoire in Notre Dame de Paris (Antwerp/Asian Tour), Starlight Express (UK Tour), The Rocky Horror Show (European Tour), Joseph in Joseph and the Amazing Technicolor Dreamcoat (UK Tour) and David Cassidy/Donny Osmond in Thank You For The Music (UK Tour). As a passionate writer, Tim recently produced and released his debut album In My Corner. The album includes four songs written by Tim as well as three covers including Uptown Girl (Billy Joel), You Keep Me Hangin' On (The Supremes) and a medley of two Frankie Valli songs (My Eyes Adored You/Fallen Angel) from Jersey Boys. Last time we spoke you were in Rock Of Ages about to go off to Holland to play Frankie for the first time. A lot has happened since then! Have you had a chance to take it all in? Oh god yes, in our business you spend your life auditioning and when you get a job there is a period of time where you just have to enjoy it – when you just get a job you can’t start worrying about what is next. So when I went off to Holland to play Frankie for the first time I was like, ‘My life is pretty good right now’ but then the time came around to start auditioning again and I started panicking thinking, ‘Oh my god what am I going to do after Jersey Boys finishes in Holland? !’ But then they offered me the UK Tour which was amazing. It’s so important to enjoy it when something like this comes along! Anyone who has played Frankie will probably tell you that it is the best job for a male in musical theatre – it’s basically the male Elphaba! I was just about to say that! What was the experience of doing the show in Holland like? In a way because I’m Belgian so speak Dutch already it was kind of like an English person going to America and doing something in American. So for me [laughs] I had to do the Dutch accent and then work on my Jersey accent for the UK Tour. It was a lot of fun; Holland is a bit like Germany where people still make it an event to go to the theatre, whereas in London people just do it as something normal and every day to do. It’s just different. When you’re in an original cast in Holland you become synonymous with the part. It was crazy, we were on the Dutch version of EastEnders, we were on a stamp… an actual stamp [laughs]! The PR was just incredible; I’ve never been part of anything like it! It’s probably the same feeling if you originate a show in the West End or on Broadway. So then how did it feel to come back to the UK and re-rehearse the show with a brand new cast in a different language? It was great! I’ve known Stephen Webb who plays Tommy for a few years so we already had that chemistry which really helped. With the other guys it worked really well straight away. When you’re on tour you live in each other’s pockets for a little bit and you get that sort of ‘brotherhood’ going quite quickly – you’re going to press events together, doing interviews together, working together and sometimes living together so get to know each other really well. I had the same thing when I did Never Forget, when you’re playing a band it’s so important that you have the right chemistry off stage because I think it translates when you’re on stage. I always love how audiences react to Jersey Boys. What has it been like to take the show around the UK and discover how the different cities respond to the show? Have you actually noticed a difference or have they all been pretty similar? Do you know what? Whether you do the show in London, in Milton Keynes, in Aberdeen or anywhere around the UK or even in Holland, the reaction is pretty similar. I think that’s because of the strength of the show, it is so well written. It’s a really fast show, people seem to laugh at the same points and find the same things touching. It just works! 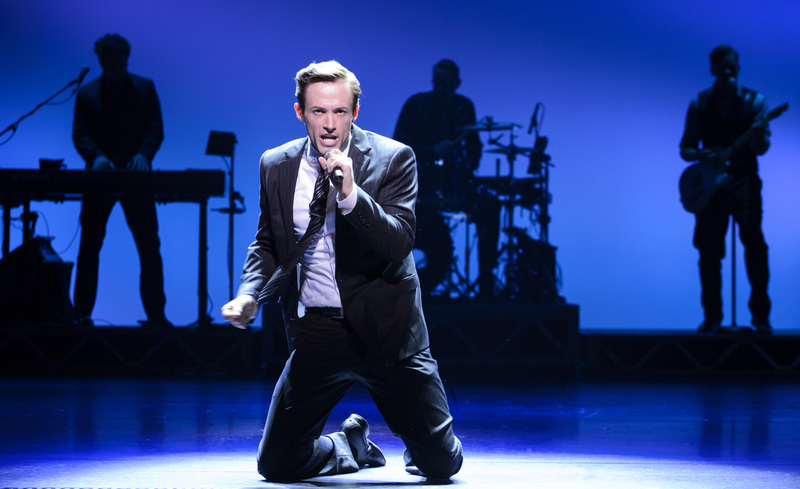 Jersey Boys is not a jukebox musical at all because it’s not a thin storyline strung around hit songs – it’s a good, solid storyline because it’s true. The songs are some of the best songs ever written, in my opinion, so it is a recipe for success! You can’t help but enjoy Jersey Boys because it has got integrity. There is a lot to love! So, as the male Elphaba, talk me through your day – do you stay silent and avoid certain foods and so on? Oh god… I would love to say that I don’t talk during the day but I do! When you’re playing Frankie you do six shows a week so you never have to do two shows in a day unless the other person goes off ill or something unexpected happens. It’s such a luxury, but it’s also necessary so your voice can recover. You need to make sure your voice is in ultimate shape. I drink a lot of water, can’t go out partying every night… but you also can’t deny yourself every now and again to go out with your friends and have a drink – you have to do that every now and again so that you stay sane. While doing six shows a week it’s lots of hot drinks and water and steaming and warming up properly. We have a great vocal coach who works with all the Frankies all over the world; we get a skype session with her every week. When I spoke to international Elphaba Jennifer Dinoia recently she told me the most important thing was keeping her mind healthy, can you relate to that? Absolutely! You really do have to keep your mind healthy and make sure you look after yourself. You need to make sure you’re getting enough vitamins and enough minerals and it’s all about lots of fruit, but sometimes you just want to go out for a curry so you do it! It’s like being on a diet, sometimes you just have to binge [laughs]. Oh absolutely! This is my dream role and the closest I will ever get to being an international superstar! In what ways do you relate to Frankie? There is so much in the show that a lot of people in this business can relate to. I came from Belgium wanting to work in musical theatre so came to the UK because I knew it was the Mecca of musicals in Europe and I wanted to get the best education in my chosen field. Frankie decided he wanted to sing so he just went for it! It took them a long time – about ten years – before their first hit. You have to adapt, go to a million auditions and get a million no’s before you get one yes but you have to keep your chin up because you are doing what you want to do and it is part of the job and you have to keep going. Then after they get their first hit they have to keep going and try and get another… and another… it’s hard! And that’s what performers have to go through with getting one show… and then getting another. When you’re in our business relationships can be hard, you have to go where the work is so you have to put in a lot of effort and sometimes it isn’t easy. Everyone can relate to that! Are there any particular parts of the show you look forward to each night? Which scenes or songs tend to stand out for you? My very, very favourite moment is ‘Working My Way Back to You’ which is my favourite song to sing in the whole show, I look forward to doing it every night. It’s at the top of this guy’s career and you can just let go. It’s one of those songs people forget about, but it’s such a good song and always gets a good reaction from the audience. So in-between doing Jersey Boys Holland and the UK Tour you managed to find time to release your debut album! What can people expect from your own original tracks? I had been working on it for a while. Originally I wrote the original songs for other people, I never write for myself. It seemed the right time to just do them myself and re-write some of the lyrics. I love studio work, I love recording, writing and creating something from scratch. It’s like a country, pop music album – it’s a genre that I love, but not the genre I usually sing. After Jersey Boys would you consider doing some sort of concert to perform the material live? Well I had plans before, but obviously all of those plans were made while I was doing Jersey Boys in Holland and doing the UK Tour wasn’t yet on the cards. I was going to do a little concert with the band who recorded it to launch the album… but that never happened because literally the day after I finished Jersey Boys in Holland I started rehearsals for the UK Tour. I literally had no time! Maybe one day I’ll do a little concert, there have been a lot of people asking me to do it – especially in Holland. You must be really proud of the album? It’s really nice to have something that’s yours and something you can be really proud of. It’s not a theatre album, it’s a pop album so when you’re playing a recording artist every night it gives you a better insight into what it takes to record and produce an album. I paid for it myself and did literally everything myself, it’s ridiculous how many people it takes to make one album! There are so many things you don’t think about. I can see why all these artists have managers and personal assistants and everything else, sometimes there are not enough hours in the day! In the end we recorded it in seven days and I am very proud of it, so if anyone else likes it… even better! It’s definitely like my little child [laughs]. Oh no! I should have prepared for this! I should have guessed what was coming, shouldn’t I?! This is your third West End Frame interview, I don’t know how you’ve got away without answering it before! Anyway, you can take three musical theatre songs with you, which three are you going to take and why? [laughs] I mean this is my desert island – I can take what I want! The last one… maybe I need something happy? I think I’ve got it, I’m going to take ‘I Wish I May’ from The Witches of Eastwick. I'm a sucker for tight harmonies and big modern musical theatre melodies. The song is all about wishes that may come true if you wish hard enough and I'm sure when stuck on a desert island I'm going to need some witches to fulfil my wish for a floating device or someone to come recue me [laughs]! I did it! Once I put the phone down I’m probably going to call you back and change my mind [laughs]. I’ll be fine, I will survive on my desert island with those three songs! 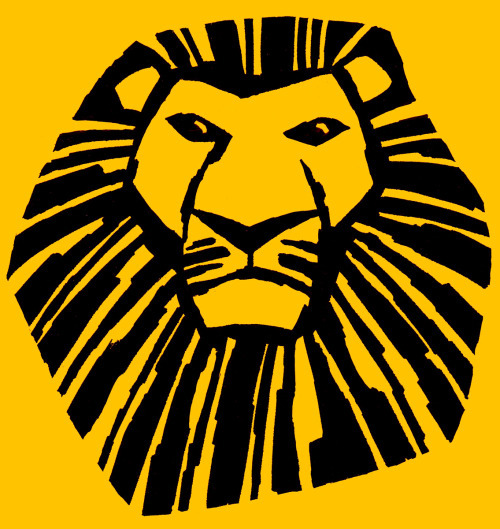 Tim will be gracing (and possibly grazing) the on-stage Savannah in Disney's THE LION KING from October 2016 as Walk-On for Zazu/Timon/Pumba. NEWS: from August 2018 Tim will also be covering Scar.